Questions submitted by readers of the site, and answered by the authors. Hello! This is an interesting question that was submitted, especially because while discussing stuff on this exactly with Yotaka, I had logged into the site and found it. Let me see what I can come up with from it. 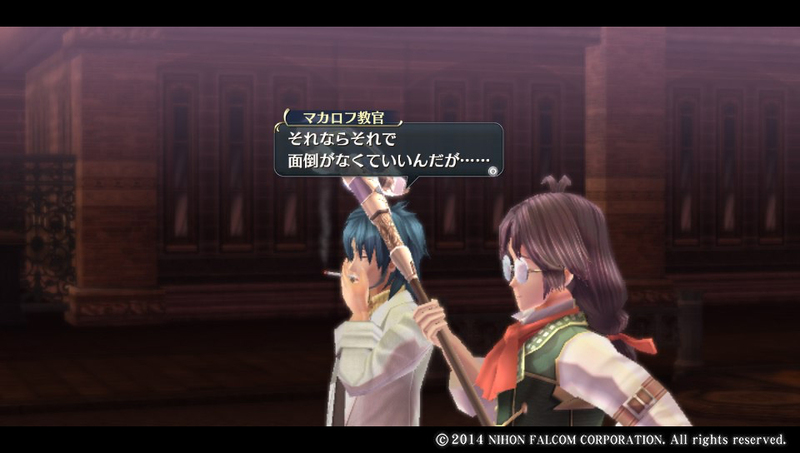 WARNING: There are major spoilers for Sen no Kiseki III in this post behind the cut! Submitted Question: […] there wasn’t a solid explanation for [the orange butterflies], which is bugging me. Do you have any ideas on what they could’ve meant? The question in full can be seen below the cut, as well as an answer. This question was submitted by andi and touches on a favorite topic of mine, the way that Falcom weaves real-world references into the series. The question and response are below the cut. Many apologies for the delay on this post! The incomplete draft regarding this question was found when doing the article migration for the website move. This question was submitted by Lee and asks about Makarov and his connections. Oh boy, I love answering questions on my theories. That basically forces me to re-evaluate them, and that’s how you test them! So thank you for the submission! Today’s question comes from Neko_Isabelle! As this plays along a theory that pulls in info from other games, this will contain multiple series spoilers. The question and my answer are both under the cut! Sorry for the HUGE delay on this! I completely forgot about the submission section for a (long) bit! Sacheverell asked a question regarding theories about Towa. This falls into Cold Steel and Cold Steel II spoilers, at the very least. See below the cut for more detail! Thanks to Manifla who submitted the site’s first question! Since it does come across some spoiler details, I’m going to put the question behind the cut.